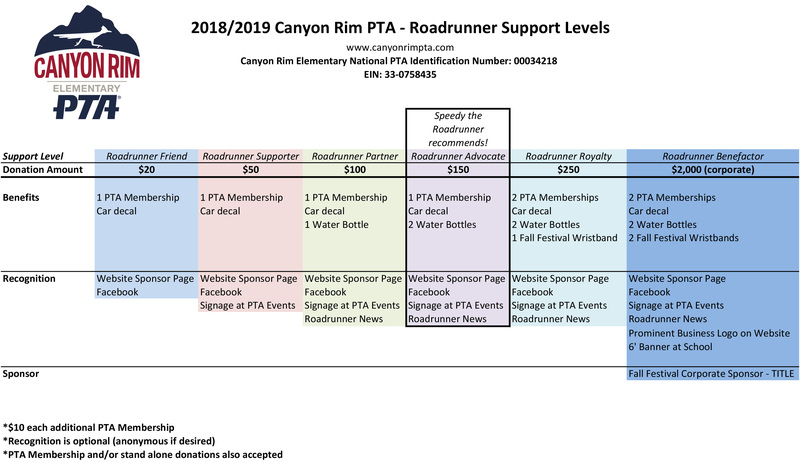 The Canyon Rim faculty, staff and PTA are incredibly grateful for the generous and numerous support level participants, direct donations, birthday book club memberships and PTA memberships. We are proud to announce that we reached our direction donation and birthday book club goals for the 2018-2019 school year thanks to our supportive families! 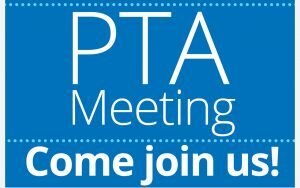 Your contributions allows the PTA to continue with our many programs and initiatives that benefit our students, library and the campus throughout the year. 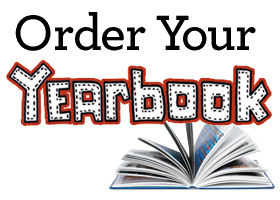 Per the 2018-2019 Roadrunner Support Levels all tier donors will receive recognition if desired on our website and Facebook page. Participating families are listed below. Thank you again for your generous support!